Management development corporate programs are being created and implemented to address important business tasks and maximize company results. Through individual approach to assessing the current state of the company, the design of the required program, conducting training and assessing the results achieved. Corporate training is a perfect solution for the companies that see their development as a result of their employees’ development. Upon completion of the training, we are interested in personal transformation, which means moving to a qualitatively different level of understanding and fulfilling their role in the company. “Success in cooking but failure in serving.” This statement is true for probably any IT company. That is why development of Soft skills is an important strategic task for both individual employees and the company as a whole. 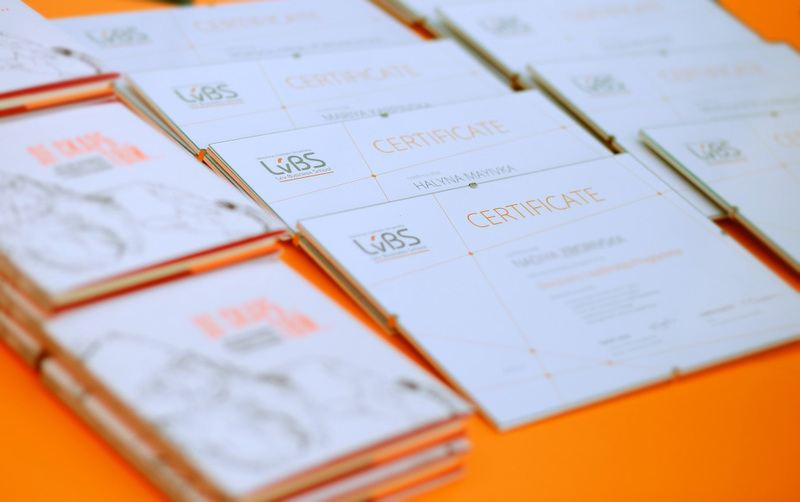 Corporate training by LvBS gave us the chance to take a new look at cooperation with our partners. A special advantage of the tutor’s work was the ability to back up the theoretical material with living cases from their own experience of international work. This is definitely interesting and informative training for people being at their start at working in multicultural environment. Examples of how people from different countries understand/ hear different phrases were of particular use. This information will further help in our daily work with the Scandinavian colleagues. We deliberately looked for a very healthy selfish ecological program. Since all these people, who became the first group from our company studying at the School, are engaged in volunteer programs and devoting themselves to their work. The company aimed at granting investment in themselves, for them to replenish their energy, their resources and continued developing our history. One of the program’s values for the company is that we have managed to bring together managers from Ukraine, Europe, and the United States for them to study together, participate in joint discussions. SoftServe is a global and quite large company, and it was important for us to have managers of different levels and functional areas involved in the program. 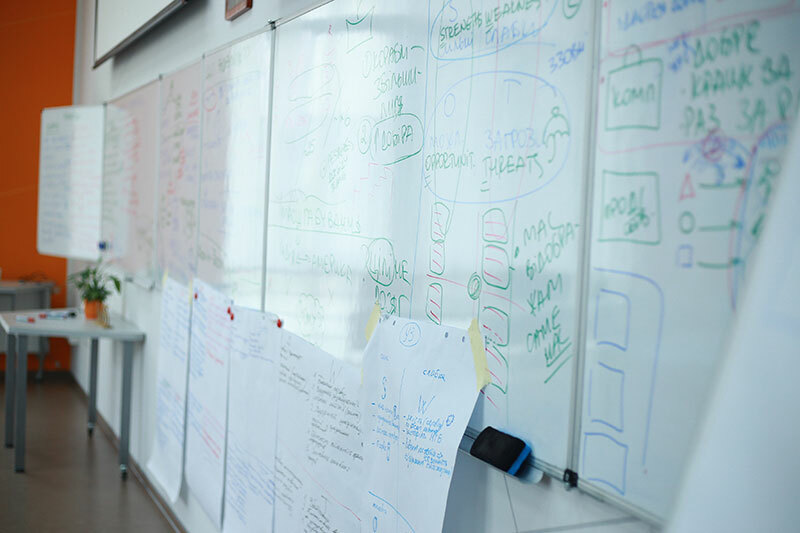 We realized this was not a simple task but the business school perfectly coped with this it. The lecturer at the UCU Lviv Business School (LvBS), academic leader of the program «HRM in Business», HR Business Partner of the DataArt company. Guest Lecturer of LvBS, а business coach, consultant, ТоР-facilitator. Guest Lecturer of «MA in Human Resources and Organization Development» and «HRM in business» programs. 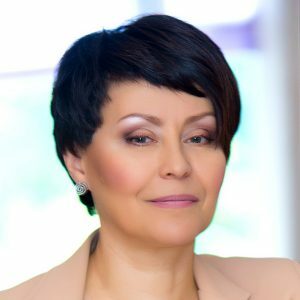 Natalka delivers lectures within the managerial and master’s programs, mainly holds the following courses: «HRM: Corporate Context», «Corporate Culture and Leadership», and «Team-Work Experts». She is a certified coach and a Gestalt consultant. With more than 18 years of professional business experience, mainly in the sphere of HR, she worked as an HR director at Eleks software engineering company (established a full-fledged department of human resources management, the program of employee maintenance, development and assessment), managed educational and consulting projects, elaborated and held author’s training programs in the IT companies, namely SoftServe, Intellias, and the Prosteer Group. She also elaborated the program «The Basics of Team Management within ІТ» for Lviv Project Management School. Natalka is currently reading the course of socio-economic approach to management at the ISEOR Institute (France). Master in Management in Foreign Economic Activity of Companies at Lviv National Polytechnic University. Studied economics at the University of Coventry (UK). Experience in project management in ‘Nordpraktik’ program (Stockholm, Sweden). After that – initiated several successful projects in Ukraine, including franchising projects. 15 years of practical experience in business, including management and development of family business, launching and management of start-ups. Representation of foreign companies interests in Ukraine. The head of consulting company “ARConsulting”, business coach, consultant, ToP facilitator, co-author and teacher of the “Leadership in the Mountains” program. The main areas of consulting: strategic management, manager coaching. Specialization of training programs: mentoring and coaching, trainings for trainers, personal effectiveness, business communication, project management, leadership. General managerial experience – more than 13 years. She has 11 years of experience in coaching and consulting practice. More than 20 years of experience in the field of sales of logistics services in OrlanTrans Group and Raben Ukraine companies. She rose through the ranks from the manager to the head of transportation department in Ukraine and Eastern Europe. In the past – the main expert of the Oschadbank’s center of specialists training. She’s got a successful experience in building and implementing a soft-skills employees training system in large corporations (building the training system from scratch). A co-founder and CEO of the Scolar Education Project. Svitlana received higher education at the Vinnitsa Polytechnic University at the Faculty of Energy (specialty-heating engineer) and at the International Academy of Personnel Management (specialty – personnel management and company economics). She received additional education at training courses and program, in particular: “Communicative Training”, “Creative Training”, “Personal Growth Training” at the Kyiv Pedagogical University named after. 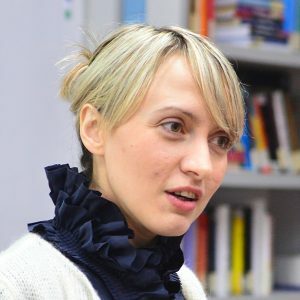 B. Grinchenko, “Management Skills” at the MaLeScenter, “School of Management” at the Kyiv School of Economics, “Methods of Group Facilitation”,”Strategic Planning by the ToP-Facilitation Method”, USA-ICA-Ukraine, she is among 15 trainers in Ukraine accredited by the DTEK Academy. International training programs: “Transforming Your Student/Customer Experience” by Amanda Dietz, Vice President of Orion Development Group, the USA. Participation in Marty Schwalbe’s “The Brand YOU: Defining and Managing Your Personal Brand” Conference, a Director of Growth, Training and Executive Education at the Fisher College of Business, Ohio University (40th Annual Conference on Management and Executive Development, USA, 2017). Bachelor in Accounting and auditing at Dnipropetrovsk National University of Railway Transport named after Academician V. Lazaryan, Master in Enterprise economics at Lviv National Polytechnic University. Received Diploma in International Financial Reporting АССА DipIFR (Association of Chartered Certified Accountants) and CIMA Certificate in Performance Management (Global association of management accountants in the United Kingdom of Great Britain and Northern Ireland). 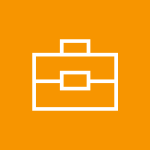 Has experience as an active sales manager, chief accountant and more than 8 years as an operating director. Specializes in writing business plans, budgeting, launching new businesses and organizing business processes. Experience of social work throughout EURO 2012 as the manager of volunteers. Has been acting in the field of child development since 2013 to help children in public care. Teacher of the LvBS, an expert in emotional intelligence. 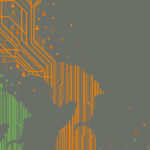 Has 20 years’ experience in the study of factors accelerating business processes and leading to results. The author of the Lean-EQ method based on connecting emotional intelligence (EQ) as a thinking system. Has more than 8 years of teaching experience. Valeriia is an invited expert of Leadership Development Program at SoftServe. She is a mentor of IT companies’ owners and startups. For several years, was a mental coach of Rio 2016 Olympiad participant Obtained higher education in the field of medicine and psychology. She studied Behavioral Approach and System Approach in two foreign projects in Sweden and Poland. She also studied at the St. Petersburg Institute of Gestalt (Teacher’s Certificate, 2011) and the Moscow Gestalt Institute (2005-2011). Has over 10 years of administration experience, five of which were dedicated to organizational development. He is a project management consultant at the Ministry of Economy of Ukraine (Prozorro) and a series of other organizations. 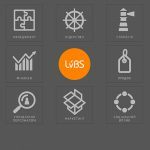 The Projects management instructor at the Lviv Business School of the Ukrainian Catholic University, (projects management, changes management) of Kyiv School of Economics, projects and portfolio management at Edinburgh Business School. HR-expert, business coach, and consultant. Up till recently, Nataliya has held the office of the personnel director at PJSC «Khlibprom Concern». Her expertise encompasses more than 15 years of experience in personnel management and corporate development. 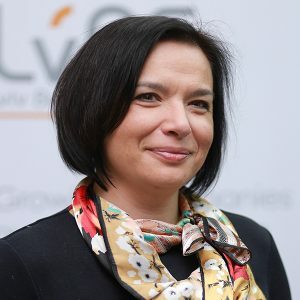 Previously, she used to work as an HR manager at «Epicentre K» Ltd., as a leading coach of the Business-Training School, the manager of the corporate university at the «Arterium» Pharmaceutical Corporation etc. Nataliya authored a number of scholarly articles dedicated to the issue of personnel management which were published in periodicals. 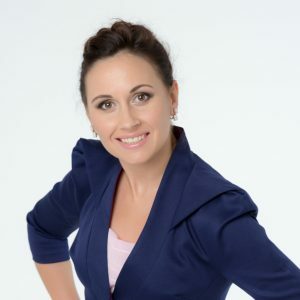 Nataliya graduated from Donetsk National University, completed HRM-HRD programs, the HRM School at the Kyiv-Mohyla Business School (KMBS) under the auspices of University of St. Thomas (USA). Her professional expertise: systemic organization of personnel management workflows, the estimation of HR systems efficiency according to KPI’s, the analysis, description and optimization of corporate business-processes, the development of normative documents for HR units, systemic organization of work with the candidate pool, the elaboration of supervisory systems for different staff categories, the establishment and management of the corporate university and the educational center, competences modelling, assessment centers supervision, professional education of corporate coaches and supervisors, and professional training of HR managers. Professor in Leadership, HR&OD, CEO of UCU Center for Leadrship. 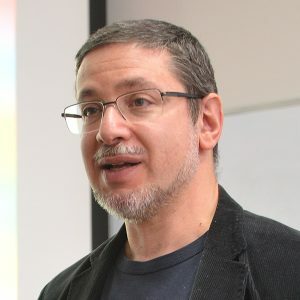 Andriy Rozhdestvenskyy served as a profiler and analyst in Israel’s security service, where he specialized in counter-terrorism matters, including special communications and negotiations. Later he became HR Business Partner-Retail at Oschadbank with subsequent promotion to Head of Personnel and Training in the bank (35,000 employees). Rozhdestvenskyy adjusted classical sales techniques to the bank’s needs and then started tailoring training programs to suit the needs of other areas of business (telecommunications, IT industry, agriculture etc.). As a result, he started his own business – a consulting company with emphasis on developing and tailoring personnel training systems for specific businesses. Andriy provides assistance to organizations specializing in childhood cancer and alcohol and drug rehabilitation. He is a member of the movement “Change Ukraine – Start with Yourself” and organizer of the Everest 2025 project. 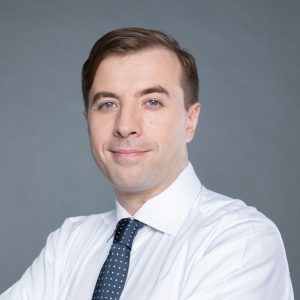 Mr. Rozhdestvenskyy received a higher education degree in Psychology from the National Pedagogical Dragomanov University, did his post graduate studies at the G.S. Kostiuk Institute of Psychology in Kyiv and successfully defended his Ph.D. thesis. He also successfully completed Anna Vlasova’s HRM School. Founding Dean and Chairman of the Supervisory Board of Lviv Business School at the UCU, Vice Rector Academic Affairs at the Ukrainian Catholic University. Her areas of expertise are Organizational Behavior and Learning Organizations, Organization Development, Entrepreneurship. 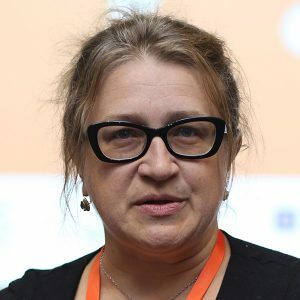 Sophia Opatska received her education from Ivan Franko University in Lviv, a degree in International Economic Relations, and defended her thesis work in Management and Human Capital Development. She studied at Executive Education programs the University of Michigan Business School (USA), IEDC- Bled School of Management (Slovenia), China Europe International Business School (CEIBS), Hong Kong University of Science and Technology (HKUST), and had on-the- job training at InnoSpace Company (Denmark) and at the Warsaw School of Economics (Poland). In 2017, she was on a semester fellowship at Nanovic Institute of European Studies, University of Notre Dame (USA). 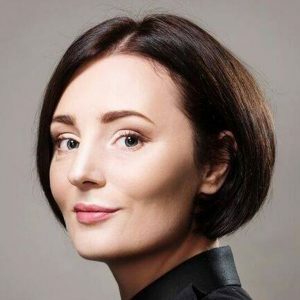 Sophia Opatska is a founder and supervisor of the Global Shapers project in Lviv and an Advisory Board member at the Emaus Center. From 2001 to 2004 she held the position of the MBA Program Director at the Lviv Institute of Management. 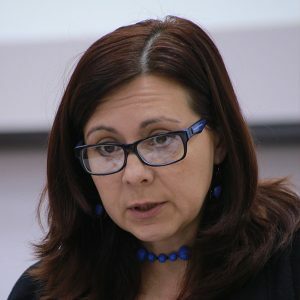 From 2004 to 2007 Ms. Opatska worked as MBA Director at Kyiv Mohyla Business School (kmbs). In 2007 she worked on building the personnel development and training system for Concern Galnaftogaz OJSC. She is Founding Dean of Lviv Business School at the Ukrainian Catholic University, which she had been leading for 10 years. From 2016 Sophia is Vice Rector Academic Affairs at the Ukrainian Catholic University and Chairman of the Supervisory Board of LvBS. Visiting Lecturer in Management. President of Euroindex. Ukrainian businessman, the president of “Euroindex”, which is the leading organizer of exhibitions “business to business” in Ukraine. Chairman of the Supervisory Board of the exhibition center “KyivExpoPlaza”. Member of the Board of Directors of the Global Association of the Exhibition Industry UFI, vice president of the Exhibition Federation of Ukraine. The author of a textbook for high school students “Fundamentals of Exhibitions.” He has experience in various fields of business and diverse experience working in public sector organizations. Author of numerous articles and publications on organizational development. Valery has close contact with the markets because his company annually hosts more than 20 exhibitions, which involve almost 2,000 companies and visits about 100 000 specialists from all over Ukraine. Visiting Lecturer on Business Communication. Managing partner of pro.mova Consulting Company. 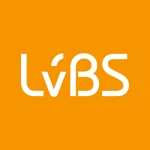 At LvBS delivers a course on Business Communications. A member of the Supervisory Board of the Gongadze Fund, a member of the Committee of Lviv Entrepreneurs, a member of UAPR Association of Public Relations. He has been employed by large Ukrainian media (1+1 TV Studio, 1st National TV Channel, Kiyevskiye Vedomosti). 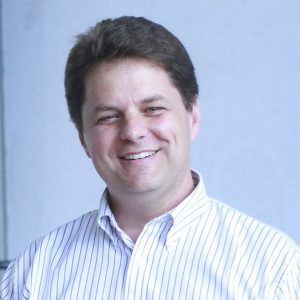 He started his journalistic career at Post-Postup newspaper and Promin Radio Station, worked with the leading mass media within the country and abroad (Dzerkalo Niadeli, Ekho Moskvy Radion, a local co-producer for CBS and PBS, BBC). As a journalist, he has a firsthand experience while working in hotspots (Yugoslavia, 1999) and in other emergency conditions (Transcarpathian floods 1998-1999, events after the Terrorist Acts of September 11, 2001, the Near East, 2002, the Gongadze case and the political crisis 2001-2002). In 2002-2003, in partnership with Roman Skrypin and Andriy Shevchenko he co-developed a concept of TV Channel 5. In 2002, he declined his work for news programs at 1+1 Channel because of the censor policy. He co-founded Kyiv Independent Media Trade Union, and later became its Chairman. 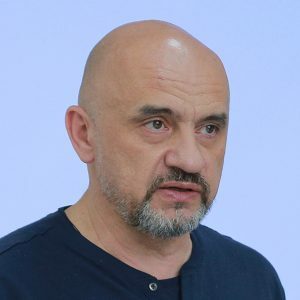 He graduated from Kyiv-Mohyla Academy with a degree in Political Studies, also studied at Bluffton University (Ohio, USA) and Lviv Ivan Franko National University. He is the consultant on communications, a lecturer in Communications for the Media, Businesses and NGOs. Ph.D., Professor of LvBS Family Business Centre, management of business governance lecturer. 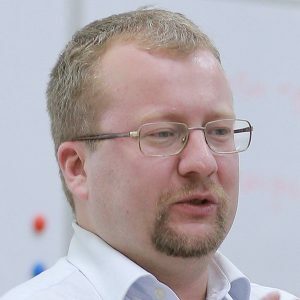 He was awarded a degree of PhD in Economic Sociology in 2003 on presenting a dissertation on Entrepreneurship in post-Soviet Ukraine at Cambridge University (UK) . Before he has been working as a Vice President of Sales and Marketing at LavaComputerMfglnc Company in Toronto for seven years. Under his rule there was a substantial growth of the company as well as spread of its activity all over North America, Western Europe, Southeast Asia and Australia. He has been a permanent resident of Ukraine since 2003. Amongst his successful projects there can be mentioned the establishment of President’s MBA at kmbs in 2005, the establishment of first Ukrainian Doctoral School at National University “Kyiv-Mohyla Academy” (university subdivision thanks to which the European model of young scientist-phd-students/ doctoral students training was implemented) in 2008, the establishment of Winner company (car importer) Corporate University in 2013. 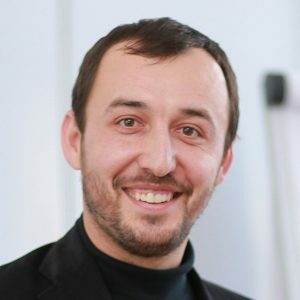 In some recent years after the Euromaidan Mykhailo was appointed as the Minister of Education and Science of Ukraine Councillor and elected as the Head of National Expert Group for Erasmus+ Higher Education Reforming. He deals with the introduction of a degree of Ph.D. instead of traditional Ukrainian ‘aspirantura’ and health care reforms as the head and councillor. He also has been a member of Advisory Council of Ukrainian Leadership Academy for last three years. 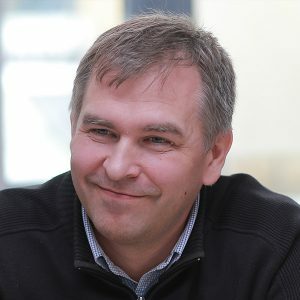 He has been permanently delivering lecturers on Sociology at National University “Kyiv-Mohyla Academy” for last eight years, consulting in the field of sales management and he was the chronicler at ShusterLive programme. That his minimal free-of-work time that on and off occurs is spent in his family circle with his four kids. He conducts following courses at Lviv Business School : Sales Management, Business as a system, Management mechanisms for effective solutions. Сo-founder of the agency Postmen (2013). He is in communications since 1999, he was a journalist and editor of the “Invest Hazeta” (“Invest Newspaper”) before. He worked in several agencies: ANT Group, Prime-Time, Agency of Social Planning. He founded the PR-agency MTI Consulting, which sells 100+ projects to over 40 clients for 6 years. 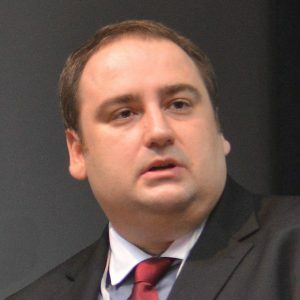 He has experience in politics, in 2009 he launched digital headquarter of Arseniy Yatseniuk (brand “In Front of Changes”). He is a co-founder of startup Plus One DA, which for one year entered the TOP-10 Ukrainian digital agencies. He invests in internet-businesses. Marketing Director of Kormoteh. Lecturer of the Marketing course of MSc in Innovations and Entrepreneurship program. Graduate KEMBA LvBS. He has experience in marketing for over 12 years. Areas of Expertise: strategic marketing; brand portfolio management; developing and launching brands; promotion of brands. Kormoteh – the market leader in animal food in Ukraine (2015). 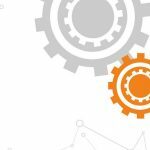 Автор та викладач курсу Innovation management на програмі MSc in Innovations and Entrepreneurship. Підприємець з 10-ти річним досвідом. У віці 23 роки вона без участі інвесторів чи партнерів заснувала PR агенцію Hoshva PR, в 2009 агенцію цифрового маркетингу Hoshva DGTL. На сьогодні компанії входять в топ-гравців рекламно-комунікаційного ринку України та співпрацюють з такими клієнтами як Watsons, Intel, Cisco, Reckitt Benckiser, L’Oreal, Bacardi Martini, Synevo, etc. В травні 2015 року Оксана заснувала DOT_DOT innovation – компанію, яка надає консультаційні послуги в напрямку інноваційного менеджменту. В 2014 році Оксана отримала димлом Executive MBA від однії з топових бізнес шкіл – IE Business school. Після навчання на MBA Оксана захопилася питанням бізнес-інновацій, отримала сертифікати Design Thinking for Business Innovation, Lean Enterprise: Corporate Innovation, Insights for Innovation (IDEO), etc. Оксана є активним учасником української стартап спільноти, виступала в ролі ментора на Startup Weekend Odesa, Lean Startup Machine Warsaw, 1+1 Media Hackweek, 1991 Open Data Incubator, доповідачем на ряді конференцій. Влітку 2015 року Оксана була учасником Barclays Accelerator by Techstars в Лондоні в якості Associate. Managing partner of the group of companies Plus One, specializing in the development and implementation of strategic communications for business, politics and non-governmental sector. 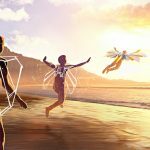 Plus One includes communication company, digital company and production. Maxim is also a co-founder of Ukrainian Crisis Media Centre. In the mid-2000-s he created a publication of Watcher.com.ua. Leading partner of the company pro.mova. 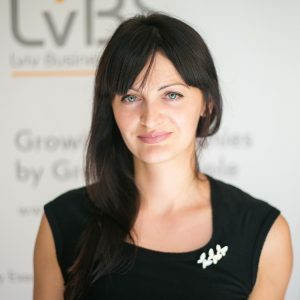 A participant of Nestor and Univska expert groups (they elaborate long-term visions of Lviv and Ukraine development).Oleksandra Baklanova was a part of the team which launched kmbs – she run one of three businesses of the school during the first five years of its existence. Before that she worked in European headquarters SONY in Germany. Earlier she had been working for five years in non-commercial sector: created a local office of the international youth organization AIESEC, later became a vice-president of this organization in Ukraine. She is involved in a row of public and cultural initiatives, advocacy and social projects. Also for some time she lectured for doctoral students of North-Western University and St. Tomas University (USA). 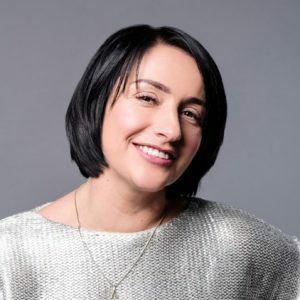 Oleksandra Baklanova is a member of the advisory board of The Institute of Leadership and Management, a member of the advisory board of Bohdan Hawrylyshyn Charitable Foundation and AIESEC in Ukraine. Oleksandra received her higher education in international economics and MBA degree. General Director of the group of companies Andanter Group. 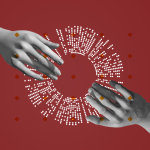 A representative of the international agency Luniter troubleshooting in Central and Eastern Europe, the head of the strategy center Public Operational Headquarters, a founder of the group of companies dealing with internet projects iVentures. Andriy Dlihach is a lecturer at the International Economics and Marketing department of Taras Shevchenko National University of Kyiv, an invited lecturer at Business School MIM-Kyiv (a leader of the courses “Strategic Governance” and “Strategic Management”); of the program NIMA (Belarus); at British Higher School of Design (Russia, Moscow; the course “Branding”). 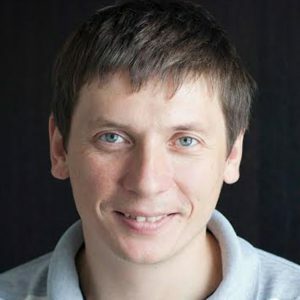 Besides Andriy is a cofounder of the community platform “New Country”, a cofounder of the movement “FreeGen”; a vice-president of the NGO “Healthy Nation – ZNAK”; a deputy head of the working group for setting professional standards, a member of the editorial board of the journal “Marketing Researches”. The author of 7 books and over 120 publications in the sphere of marketing, strategic governance, business organization and international economics for such periodicals as “Forbes”, “Companion” and others. The best trainer and consultant on marketing in Ukraine according to the annual rating Ukrainian Marketing Awards; the best consultant on governance according to the rating TradeMaster. The group of companies Advanter Group headed by Andriy is recognized as the most competent consulting company of marketing sphere in Ukraine. Lecturer of the courses on finance within Master’s programs and programs on management development of LvBS, Business Consultant on financial issues. For many years, he managed the school financial department, and before that – the Financial Department of the university. He took an internship at the Financial Department of Seton Hall University (USA). He has an experience of managerial work in public organizations. He advises the participants when making business projects. The teacher of LvBS master’s programs and executive development programs. The teacher of effective team management and personnel management courses at the LvBS. The founder of training and consulting company ROK. 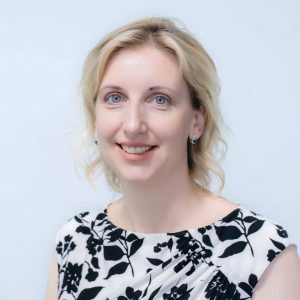 She has over 14 years of experience in the field of HR, in particular in executive positions, and more than 9 years of experience as a trainer and organizational development consultant. A certified coach. 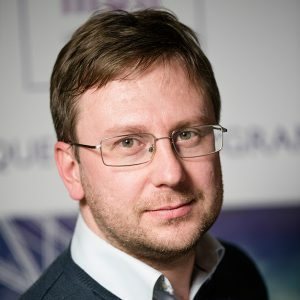 Yaroslav is the Dean of the Applied Sciences Faculty at the UCU and holds the office of the Professor in Quantitative Methods for Business Decision-Making and Economics. He did his internship at The George Washington University, USA. 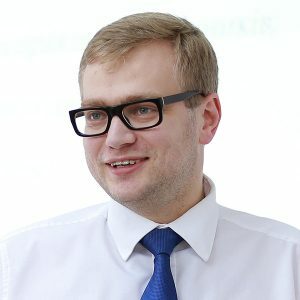 At the National Bank of Poland, Yaroslav acted as a scholarly supervisor on enhancing the macroeconomic modelling and forecasting the Eastern European economies. Besides, he is a Member of Global Policy Fellows Program of the Institute for Higher Education (Washington, USA). 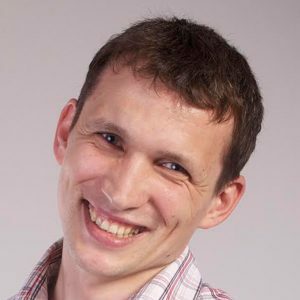 Yaroslav is actively involved in econometric modelling and forecasting, as well as research in the field of Microeconomics and Macroeconomics. He is the author of numerous publications on complex analysis, macroeconomics, and forecasting. Yaroslav has participated in a large number of international conferences, training, and research programs. Attorney in law, Managing Partner with law firm Grynchuk and Partners (law practice 2004). Practice in supporting investment projects, corporate law, tax disputes, protection of business relations with regulatory authorities. Andriy combines legal practice with social work. He is a member of Lviv Entrepreneurs Committee, Ukraine Bar Association. Honorary Consul of the Kingdom of the Netherlands in Lviv. His past internship experience includes Wayne State University (Detroit, MI), Copenhagen Business school, Danish consulting firm Dansk Management Forum, IMTA, IEDC, Maastricht University (Maastricht, Holland). 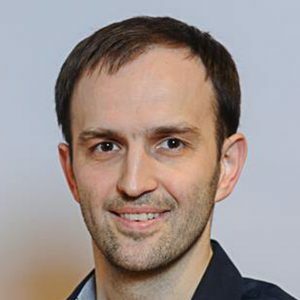 Dr. Kolisnyk is an instructor for courses “Financial Accounting”, “Management Accounting”, and “Financial Management”. Dr. Kolisnyk additionally holds corporate and open executive development programs in Finance and heads corporate consulting projects, in particular those dealing with enterprises’ financial restructuring. He was also International Finance Corporation (IFC) consultant, since 2013 to 2017 he was executive professor at Kyiv School of Economics. Since 2002 to 2005 Dr. Kolisnyk was a Board Member of the PEKAO Bank [Ukraine]. 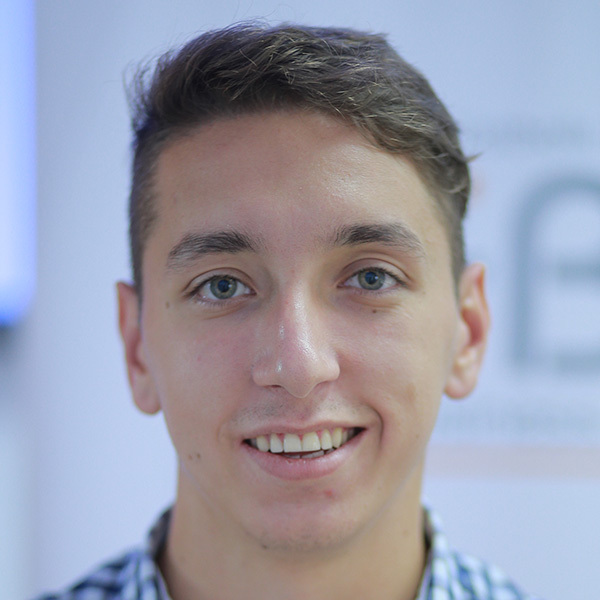 In his free time, Mykhajlo enjoys swimming, photography, traveling and working with the PC, namely programming and web-design. 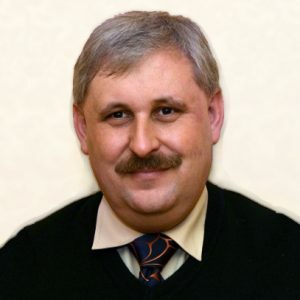 Since 2008 to 2010 he was Kyiv Mohyla Business School (kmbs) acting dean. His main line of works is connected with the implementation of flow control methods based on Theory of constrains (ТОС) and economical production. From 2008 to 2010 he was at the head of the Goldratt First European Regional School in Kyiv. Among his customers were the following companies: Nestle, Raiffeisenbank Aval, Luxoft, DТЕК (Donbas energy holding company), Zaporizhzhia transformer plant, IDS (one of the biggest producers of mineral water in Ukraine), Fast Food Systems (the biggest chain of restaurants in Ukraine), «Veresen +» (regional distributor of food products), Avito (regional distributor of Procter and Gamble in Ukraine), Mens (regional distributor of telecommunication equipment) etc. He completed training at the following international programs: Japan International Cooperation Agency (Japan), Goldratt Schools (Israel), IESE (University of Navarra in Barcelona), OWZ Consulting -Center (Munich) and Business School of Wayne University (Detroit, the USA). He gives classes at the leading business schools of Ukraine, Belarus, Kazakhstan, Kirgizstan, Russia and the USA.